Dennis Johnson, CFA, is the Chief Investment Officer for TIAA Endowment & Philanthropic Services. 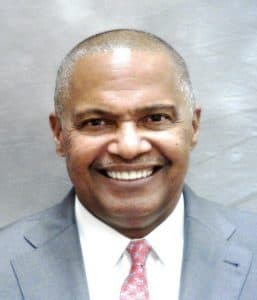 Dennis is also the Chief Investment Officer for TIAA, FSB (“TIAA Trust”) responsible for the supervision, oversight and direction of all investment processes utilized by TIAA Trust and TIAA Individual Financial Services. He leads the Investment Management Group and the Investment Strategy Group. Dennis has over 36 years of experience making asset allocation, investment, and portfolio management decisions for retail, family offices and institutional investors, including retirement funds, foundations and endowments. He also has substantial global investment experience across all major asset classes, alternative, real assets and currency hedging strategies. Dennis has 33 years of experience advising and consulting with institutional investors around the world on sustainable investment and comprehensive ESG policies. He sits on the investment committee and risk management group and oversees the development and implementation of our responsible and impact investing solutions for our clients. Prior to joining TIAA Trust, Dennis was Chief Investment Officer of Comerica Bank in Dallas, Texas where he supervised and led all investment related activities for Comerica Trust Company, Comerica Securities and World Asset Management; overseeing $150 Billion in assets, of which $35 billion was under discretionary management. Prior to Comerica, Dennis was Managing Director and lead investor for Shamrock Holdings (a private family office), and Senior Portfolio Manager – Global Equity at California Public Retirement System (CALPERS), responsible for oversight of CALPERS’ global investments and policies. Dennis received his Master in Finance from Virginia Commonwealth University, and BA in Economics from Virginia Military Institute. Dennis is a Chartered Financial Analyst and a member of the CFA Institute.